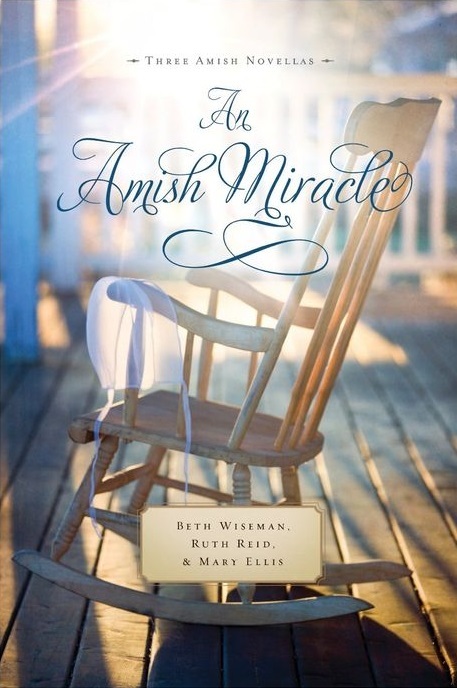 “An Amish Miracle” anthology – WOW! These anthologies are a GREAT idea! Not only do you get three stories in one, you get to see the writing of three different authors – which tells you whether you like all three authors and want to buy more of their books. In my case, the answer is “YES!” And I will be hunting up books I don’t already have from these authors! In the first story: Always in my Heart, we get to see the major differences between Amish marriages and Englisch marriages. What does the typical Englisch husband do when he finds out his wife has been hiding something from him for their entire marriage? Read the story to see what the typical Amish husband does. This is the first novel I’ve read by Mary Ellis and her writing is phenomenal. She does have an odd habit of using the Deutsch word for wife a lot instead of having her husband call her by name and this is the first book I’ve read where this was done but I don’t know everything about every Amish community so maybe this is common in some of them… Her writing is so wonderful, even with this small oddity, I could NOT put it down. GREAT Story! GREAT Writing! Read it! The same is true of the second. Ruth Reid’s writing – also fantastic! She draws you right into the story and you can feel the character’s emotions so clearly. It’s so hard to let go of the story, that when it’s over you almost want to cry. This is the first book of hers I have read also and I can’t WAIT to go hunt down more of hers! In the second book we see a different character’s story but in the same community. I LOVE when they do this! It’s so much better than having to wait for the next book in the series to come out. I didn’t think the story of a lonely widow would appeal to me much but it really did. It was amazing. I found myself staying up far beyond my usual bedtime to read I haven’t done that in a while. I never could have imagined that Amish girls would have to deal with weight issues. Who could have guessed? But that is indeed the main conflict of the third story in this anthology. 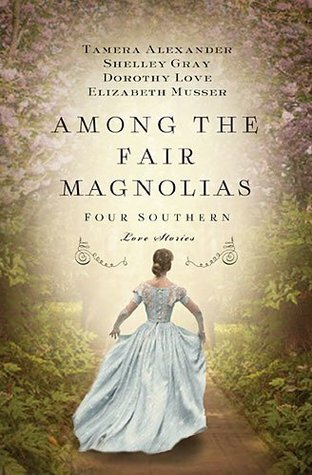 Beth Wiseman handles the story beautifully. I found myself feeling Becky’s pain as I read. And yet, I could feel myself feeling the pain of other characters as well and it was enlightening and heart-breaking as well. Great writing! WOW! I found myself thinking about how this is a wonderful story to share with my daughter and even my son. Even at a young age, I feel it is important to share stories and lessons about life with our children – especially about dating and self-esteem issues. This story also shows us that sometimes… even if God’s answer is yes, it’s not always the best thing for us. All three of these stories are wonderfully written and beautifully flowing one into another and I can’t wait to go back and read “An Amish Gathering”, “An Amish Love”, “An Amish Wedding”, “An Amish Kitchen” and the upcoming “An Amish Garden”. I’ll probably wait to read “An Amish Christmas” until a little closer to Christmas time this year. Widow Rosa Hostetler has one month to pay her delinquent taxes before the county auctions her farm. She s prepared to sell whatever is necessary to pay the lien, but she isn’t willing to request money from the community s widow fund. She’s embarrassed and refuses to admit she needs help. Rosa depends on income from selling eggs, but when that income is threatened, only a miracle can help Rosa accept the kindness of a neighbor. HERE is a link to GoodReads for more info and reviews. HERE is a link to Beth Wiseman’s website. HERE is a link to Ruth Reid’s website. HERE is a link to Mary Ellis’s website. And HERE is the link to the book’s page on Thomas Nelson. “The Amish Seamstress” is the fourth book in The Women of Lancaster County series by Mindy Starns Clark and Leslie Gould. 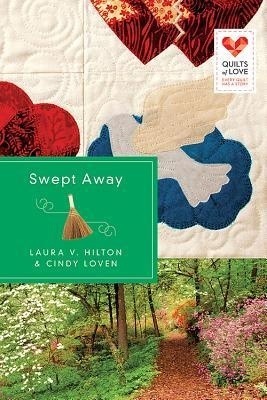 I started reading the first book in this series (The Amish Midwife) some time ago and I could not make myself finish it. at the time, I was quite frustrated by a very angry book (another that I was reading at the same time) that I quickly decided to stop reading once I became aware of the problem. Since then, a dear friend has convinced me that this series is worth reading. Since I received this book free from Harvest House Publishers in exchange for an honest review, I decided to give the series another try. I also thought it might be interesting to read this one first and go back to the others… to see how that works. It doesn’t always work to read books out of order. With this one, it works. But I have a feeling that the story will mean a lot more if the series is read in order. Once I go back through and read from the beginning, I’ll have a better perspective on that. I imagine writing a collaboration is not an easy thing, especially since we don’t see nearly as many of them as we see single-author books. Mindy Starns Clark and Leslie Gould have found the way to do it right. I applaud them and I hope they collaborate on more stories in the future. There is a lot of conflict in these novels and I can see now why it was so difficult for me to get into the first one. I am a person who has seen more than her fair share of conflict and drama so I tend to do everything I can to steer clear of it. If you are this way as well, don’t let that stop you from reading these books. The end result is worth any heartache or frustration. …don’t let that stop you from reading these books. The end result is worth any heartache or frustration. I plan to go back and read from the beginning of this series and then review each one in order (I may even re-review this one with that new perspective once I finish them all). 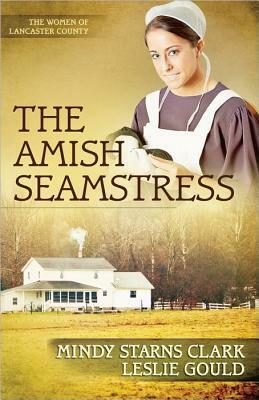 “The Amish Seamstress” is most definitely a continuation of the series but there is a good amount of information about what happened in previous books so you shouldn’t be lost. The characters are very strong and, in some cases, formidable. The story draws you in and you find yourself wanting to go on, if only to find out what happens next. I can’t wait to start at the beginning again and see how it all develops into where we are now in this fourth book. In other words, it’s a very well written book – which means most likely that the entire series is well-written. Although that is not always the case so you should make that judgment for yourself. Start from the beginning with “The Amish Midwife” (along with me) and see what you think. Now I just have to find time to go read all four books and review them. Now I just have to find time to go read all four books and review them. If you would like to read a chapter of “The Amish Seamstress”, get more information about upcoming releases from Harvest House or just get more info about this book, click HERE to go to Harvest House. Or click HERE to go to the page on GoodReads. Mindy Starns Clark’s website can be found HERE. Leslie Gould’s website can be found HERE.